Mzukulu Chamisa, listen to this noble advise: pick up your toys, call all your friends and go back to Harare before tribal fires that you are stocking in Bulawayo consume you. Bulawayo is not a play ground for political toddlers like you. If you beat a dog the owner will surely show up. The man behind Bulawayo candidate imposition has finally come out guns blazing in support of his preferred shona candidates. But we did say it before, "if Morgen Tsvangirai needed firm hand holding then Chamisa needs 24 hour baby sitting". That is not even enough, he also needs political pampas. Like all other shona tribalists he is suffering from " short memory syndrome". Not even aware that as he is pointing a tribal finger at the people of Bulawayo who demanding to be lead by one of their own, the other three fingers are pointing at him. If people of Bulawayo want to be led one of their own "uMpondo Kayitshatshwa" let them have him orher that is called democracy and self determination. If you force your own shona candidate on them its called dictatorship and oppression. Harare which is supposed to be a melting pot of all tribes as a capital city of Zimbabwe is the most embarrassing tribalistic capital city in Southern Africa. The last time we checked the list of new councilors and mayors in Harare there was not even one Matabele. Is Harare not the capital city of Zimbabwe? Is it not run by the MDC Alliance? If ever there is a tribally unbalanced city in the word it is Harare. If Chamisa was not a tribalist only bent on imposing his shona tribes men on people of Matabeleland, Harare should have been his fist port of call action as it stinks tribalism. Laughably, this is the same man who caused the MDC second tribal split of 2017 when he set his shona only thugs on Thokozani Khupe. She was called a "dissident", had stones thrown at her, the thugs even attempted to burn her in a thatched hut. This one is even more interesting, she was told point blank to go back to Matabeleland because " shonas cannot be lead by Ndebeles" and that "she will only lead in Matabeleland". What a telling tribal statement! How tribalist Chamisa has conveniently forgotten! So if Chamisa wants to see a tribalist he must look in the mirror. How do you expect Matabeles to allow shonas to lead them in Bulawayo when the people in Harare refuse to be led by Matabeles? How do you expect Matabeles to allow shonas to lead them when you yourself refused to be led by Thokozani Khupe because she is a Matabele woman? Your hypocrisy stinks to the highest heavens. Be warned Chamisa! 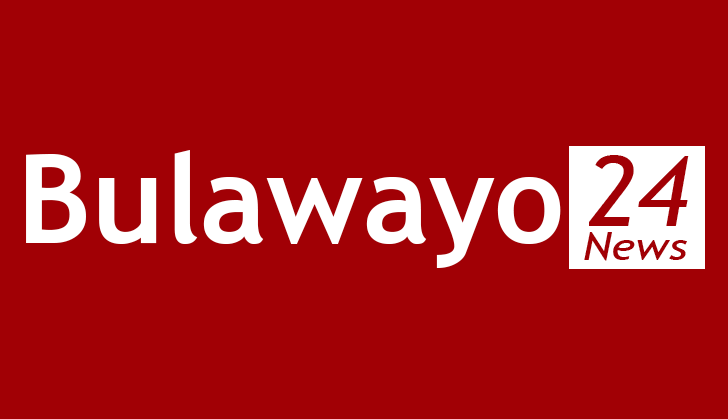 BULAWAYO, as the name suggests, is no place for political toddlers. You do not play with fire in this part of the world when it is dry season, more especially when Liberation organizations like MLO have already taken strategic positions to reclaim and defend Matabeleland territory. Needless to say, MLO was formed for the very nonsense that is taking place in Bulawayo right now. You may find yourself reaping the bitter fruits of tribalism sooner than you expected. The pampas will fall! imposition of foreign candidates is against the international law of self determination. "By virtue of the principle of equal rights and self-determination of peoples enshrined in the Charter, all peoples have the right freely to determine, without external interference, their political status and to pursue their economic, social and cultural development, and every State has the duty to respect this right." There is no oppressor who has ever respected the right of self determination let alone their oppressed. This is evidently clear in the planed tribal drama performed by Tererai Dube. He came late for the swearing in ceremony wearing a bright coloured blue suit to attract attention in the house so that by the the time he took his oath, wherein his message was, all eyes would be on him. Then the real drama unfolded he recited his oath not in English or Ndebele the languages that can be heard by everyone in Bulawayo but shona the minority language which is hated in Matabeleland. He verbally attacked those who called him to order because to him they were inferior Matabeles. Why shona language? Oppressors do not respect the oppressed, their language, culture and rights. The main message was that "shonas have taken over Bulawayo whether Matabeles like it or not"
Remember what the Grand Plan of 1979 says. Remember how the 5th Brigade forced Matabeles to speak shona and how those who failed to speak shona language were killed. Tererai Dube and his cabal of which Chamisa is part of, were sending a message. Language is a tool used by the oppressors to subdue their victims. shona is a hated language in Matabeleland because it is a language of the oppressors, genocidists and the 5th Brigade which wiped more that 40 000 innocent Matabele civilians. The political events that are unfolding in Bulawayo have all the characteristics of the 1979 evil "Grand plan", "state capture" and gukurahundism. Matabeles do not need to be reminded of what will happen when the capital city of Matabeleland is captured by the enemies (shona supremacists). When the previous white supremacists captured Bulawayo, they burnt it down, imposed their own white mayor and councilors, stole or took control of economic resources like cattle and land. Matabeles were displaced and banished to tsetse fly infested poor lands. The new oppressors taking over Bulawayo now are worse. Corruption is their culture and part of their DNA. All residential stands will be given to shonas only. All job and business opportunities will be given to shonas. Bulawayo which is our cultural pride will lose its shine. It will lose its status as the cleanest city. Diseases that are related to filthiness like cholera and typhoid which are very popular in Harare will now be part of Bulawayo. When the capital city which is the political center of Matabeleland is captured it is game over for the oppressed. Therefore Matabeles should fight tooth and nail. Be steadfast. Self determination is your God given right. Do not be scared or intimidated by tribalist cards that are waved against your faces by shona supremacists like Chamisa and his comrades in Zanupf. Zanupf and MDC Alliance are two sides of the same coin. MLO is aware that while MDC Alliance is capturing Matabeleland cities Zanupf is doing the same in the rural areas. Chamisa should be told in no uncertain terms that Bulawayo the city of kings is no play ground for political toddlers like him and his shona councilors. He must not play with fire in the dry season lest he lights a fire that will eat up the whole of Zimbabwe.